Looks like alot of fun and the cookies are beautiful would love to be the lucky winner of one of your cookie molds to try my hand at it next year or sooner! Sandy, you will be baking beautiful cookies soon! Send you address to alma@blackbird-designs.com and I will mail your heart cookie mold to you. 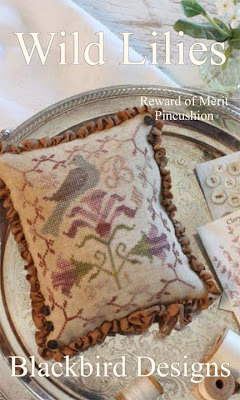 Here are a couple more patterns to view....we have 7 new Reward of Merit patterns. I've been folding patterns for the past two days. I think we might have to revisit this format!!! The car is packed finally. We are taking more books than usual. I'm hitting the sack early tonight! Have to get up early tomorrow morning. Nashville is a long drive from Kansas City. We should be there by tomorrow night. Congrats to Sandy! What a lovely thing to win! Oh, how I'm loving those charts and how I'd love to be at Nashville!!! Have a wonderful time and drive safely. For my first comment, I want to wish much fun in Nashville - and I love to see all the news from there in the shops and blogs soon. I love the new charts. Safe travels! The new charts are lovely. Have a nice and safe trip. congratulation to Sandy - happy winner ! Congrats to the winner. Can't wait to see all those new patterns. The two you showed look to be must haves. Enjoy Nashville and travel safely. Can't wait to see all the new patterns. Have a fun and safe trip. Have fun baking Sandy! Send Alma a photo with your finished cookies so we all get to admire them! Alma, have a great trip and good luck with everything! Travel safe and I can't wait to see everything!!! Wow, 7 Rewards of Merit, that's wonderful. Enjoy market and safe travels! Muy bonitos los nuevos patrones. I love Wild Lilies. Another reward for me! Thank you for your beautiful designs. Safe travels to and from Nashville! Alma, you should invest in a folding machine. We had one at our office to fold invoices and made the process much easier. Have fun in Nashville and take lots of pictures. I always like to see them. such pretty things, love the hearts. Congratulations to Sandy!!! Have fun!!! Love the "Wild Lilies". It is a gorgeous design. Hi Alma, my LNS had a Monday After Market event this a.m. at 8:00 -- I was the first one there to get the new book and all seven of the Awards of Merit -- all gorgeous -- don't know how you two do it -- someone said you and Barb know how to do pretty, and they were right! I'm disappointed that I haven't seen any pix of your "booth" in Nashville. Shop ladies said it was really nice. Thanks again for yet more BBD perfection! Hi there. Was in a quilt shop in Richfield Ohio the other day and saw the Garden Club. Beautiful book. Are either of the background fabrics available for purchase? Getting colors for the flowers is easy. Finding those background fabrics - well, they thought the fabrics were probably some of your own. Let me know. Thanks. I'll go back and get the book for sure if I can secure the background fabrics. I LOVE the vintage look! Congrats to Sandy! Lucky Lucky winner! Just wanted to chime in and thank you for your wonderful designs! I started Remember Me tonight (that might not be the official name) and I am in love with it!!!! Also, about 8 of my friends and I rushed to our LNS to get Stitching Journey yesterday and we are all in awe of it!!! 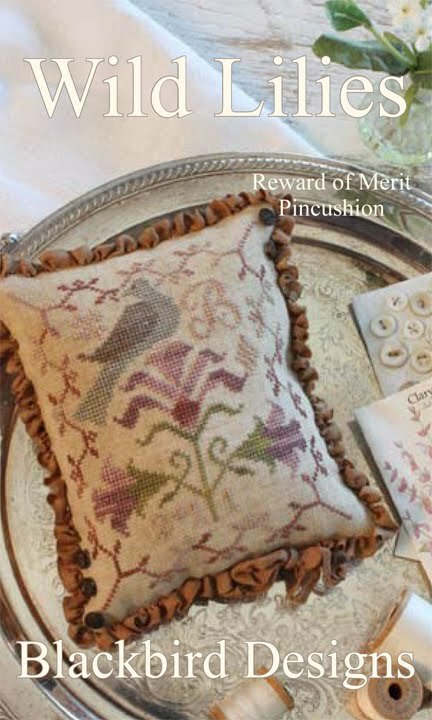 Thank you for providing hours, days and weeks of pure stitching heaven!!! I just got my "Stitcher's Journey" (thank you House of Stitches) and once again, you ladies have outdone yourself! It is beyond fabulous. It is as great as attending your workshops -- and I was at two last summer. 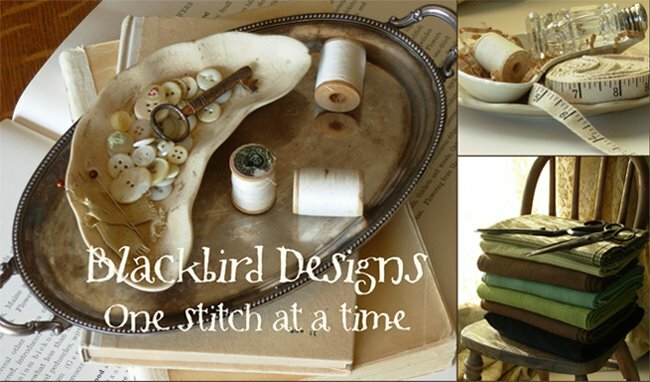 Barb & Alma......I LOVE the Stitcher's Journey book. My LNS called today to say it had arrived and I couldn't get there myself, but a friend offered to pick it up & bring it to me - I am so lucky to have wonderful friends! Keep up the great work! Now.....which do I stitch first....hum? Thanks! Alma...I just received your email & sent my info to you..thanks so much I'm really excited and thanks to everyone else sending me congrats on your comments. 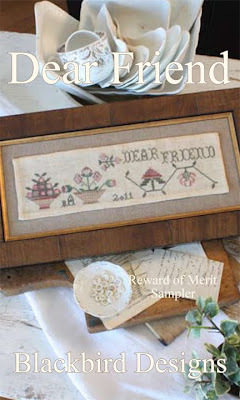 Would you please list the names of the new 7 Reward of Merit Designs?